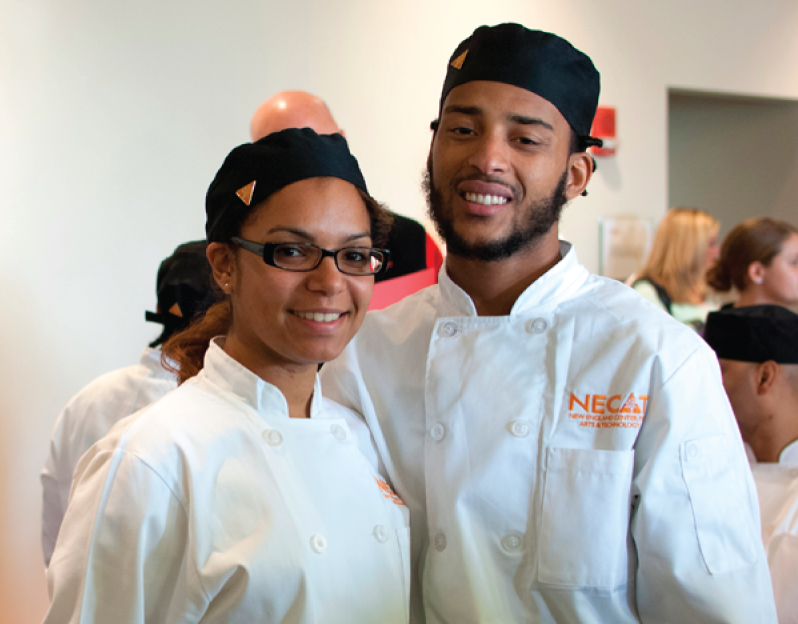 NECAT provides unemployed and underemployed individuals with the technical, professional and life skills necessary to secure career-ladder jobs in the culinary industry. Our 16-week Culinary Arts Job Training Program is offered at no tuition cost to the students so that they may start their careers without the burden of debt. The program was launched in October 2013 and serves roughly 210 students annually, across two locations. 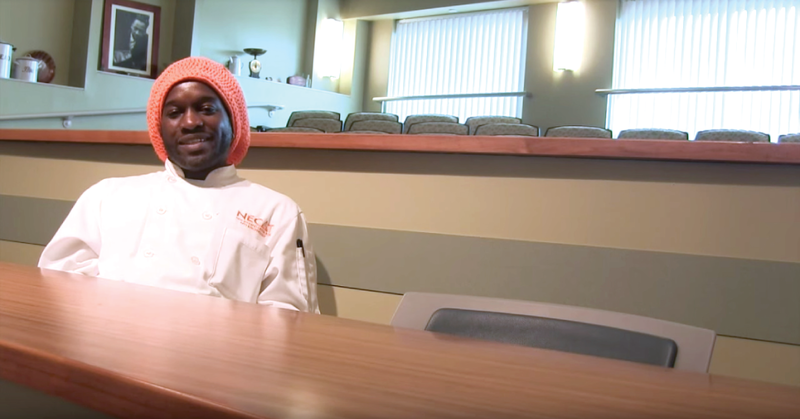 Is the Culinary Arts Training Program right for you? Committed to securing a permanent job in the food services industry. Able to commit to the 16-week program and attend class every day. To learn more about our program, please contact Elise Brandwein at (617) 442-3600 ext 704 or click below to begin the application process. All interested students must attend an Info Session before enrolling. For our Boston location, Info Sessions are held every Tuesday at 9:30am at 23 Bradston Street. For our Everett program, Info Sessions are held at the Shute Memorial Public Library in Everett on Fridays at 11:00am. No RSVP required. NECAT partners with some of the best food service employers in the city that provide living wage salaries and exciting opportunities for career growth. Our students are trained in fundamental cooking techniques, food safety and handling, and job preparedness. If you are interested in employing a NECAT graduate, please contact us.